This was one of the very first major conventions that ComicBookInvest was issued credentials for. I would like to thank Mr. Randy Tischler for allowing me the opportunity to attend – he and his staff are first class. I had heard for a few years from members and other dealers this was the convention to attend if you were looking for books, and they were right on the money. The amount of dealers was impressive, as were the arrays of books on display. They had platinum through modern age books in every variety you could imagine. The show was well laid out and the spacing was ideal. I know this doesn’t sound like much, but it’s super important for big shows. They had the artists far enough from the vendors not to cause traffic issues. They also had tons of staff helping people out when questions needed answers. The on-site CGC grading was one of the main draws of this convention and I must admit, it was pretty awesome. You had to get in line early on Friday and Saturday to make the cut, but the service they provide is super beneficial. The dealers were limited to 50 books each and that didn’t sit well with some of the people who wanted to submit more. The artists and writers they had available were a huge plus for this show. Every one of them was friendly and made it comfortable to approach them. I have been to cons in the past where it wasn’t like this. I’m not sure how the artists/writers were selected for this show, but kudos to who put it together. I saw lots of free sketches and drawings given to kids which in turn caused a lot of smiles. There were a lot of show exclusives as well. My favorite was offered by Black Mask. They had a 1:200 We Can Never Go Home #1 Baltimore exclusive that sold out early on Saturday. The Batman and Harley Quinn exclusives were also very popular. Valiant had some nice stuff, as well as Kaboom, and Boom studios. Bar none the best con I have ever attended. This needs to be on everyone’s calendars next year if you haven’t been. Were there pre-sale tickets (online/in-store) and could you get in early? You could buy online, onsite, and you could get in early with VIP or a dealers badge. Tickets were $25 plus service charge on Friday, $35 on Saturday, and $25 on Sunday with a VIP package for all three days costing $149 with some exclusives also thrown in. The best value was the 3-day pass for $55. You got your money’s worth for your ticket regardless of what day you went. I went to a major show a few weeks back and it cost me $47 to enter and it was horrible if that gives you any perspective. There were a few hundred. I didn’t get an exact count, but it was by far the most at any con I have attended. They had at least 75 dealers with just comics. How was the food and snack situation? This was a plus, they had a few vendors selling smoothies, ice cream etc. They also had the vendors for the convention center there, and they had some of the best chicken fingers and hamburgers I’ve ever eaten. Prices were high, but to be expected. Lines were long, but moved pretty quickly. There weren’t a lot of tables to eat at, but that is just part of the norm at these events. The floor layout was very spacious. They had an artist alley that wasn’t too cramped. They had the retailers in a section, and the rest of the floor was with vendors. I loved the layout. I never felt claustrophobic even on Saturday when there were thousands of people there. Captain Marvel #17 2nd print raw. It was VF- and the guy wanted $300 for it. The pricing on Harley Quinn books was 30% higher than the eBay average as well. The raw Incredible Hulk #181’s and Batman Adventures #12's were also way too high, but that didn’t stop people from buying them. Dealers I talked to reported selling a ton of BA #12’s Thursday to other dealers and early Friday at the show's opening. I saw an All-Star Comics #8 3.0 CGC for $42k. It selling in two hours is the best part. I bought a 9.8 SS Kirkman Retail Appreciation Walking Dead #100 Lucille variant for $1k. The last two that sold were for $1,800 and $2,200. The owner of New Dimensions had not updated the price in months, but honored the price he had it marked at. I also bought a HIGH GRADE Action Comics #242 from New Force comics. They took off $400 from the sticker price and I was very pleased with what I paid for it. 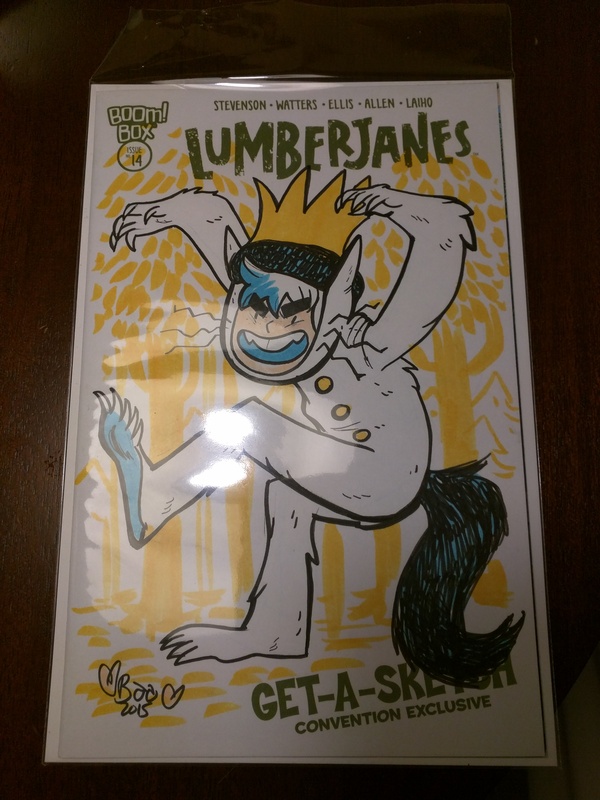 I bought a sketch cover from Lumberjanes artist Brooke Allen. She was offering Baltimore blank variants with her sketches on Friday. Action Comics #242 without a doubt. You don’t see those very often especially in high grade. 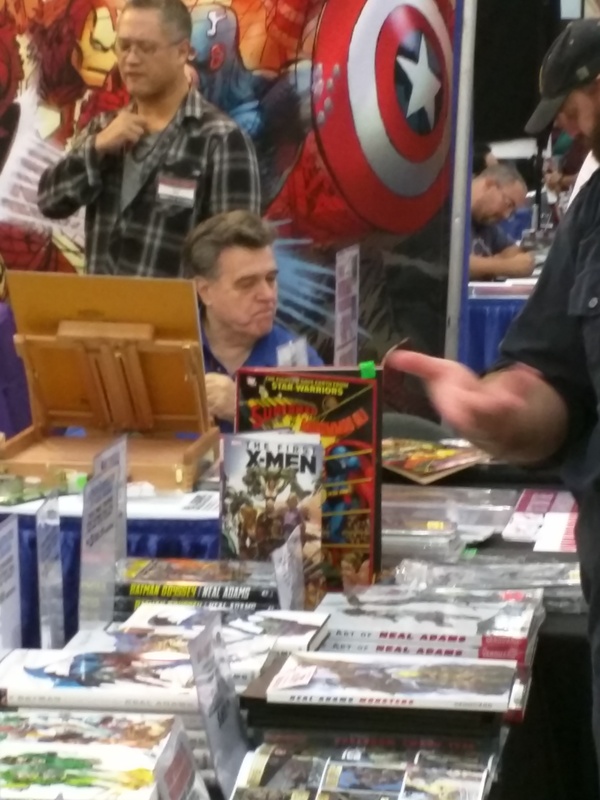 A guy in line at the CGC onsite grading had a Superman #2 that was found in his grandfather’s attic. ( I know right…….) It was beautiful, no chipping, stains, or other noticeable issues. Pages were even close to white. Not sure what it was graded at but he asked me to look at it for him and give him my grade. I thought it was a 5.5-6 and hope he got something close. 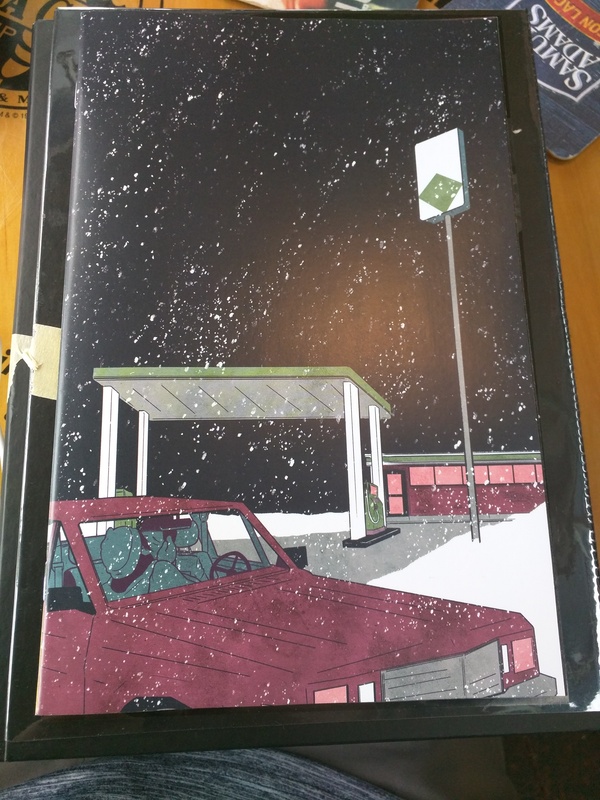 What were some books you were surprised the dealers had priced so high? Anything with Harley on the cover was priced in ranges that were bordering ludicrous. The problem was they were still selling like crazy. Daredevil #168 and Hero for Hire #1 were also priced far above going rates, but again people were buying them like bottled water in the Sahara. Marvel Bronze and Copper of what people considered major keys were the most popular items by far. The prices some of these dealers put on their books was outrageous though. Nobody in their right mind was going to pay their asking prices, so they sat on the walls all weekend when fair pricing would have made them a lot of money. They had an amazing array of artists and writers. Marv Wolfman, Amanda Connor, Frank Cho, Franco Francavilla, Matthew Rosenberg, Neal Adams, Scott Snyder, Darwyn Cooke, JG Jones, Jim Starlin, Andrew Pepoy, John Ostrander and a host of others. The spacing was perfect and the organizers thought about where to put people at perfectly. Artists had a nice flow of traffic all three days. Were any media guests/celebrities present? Yes, but they were off in a dungeon and I for one was ok with that. 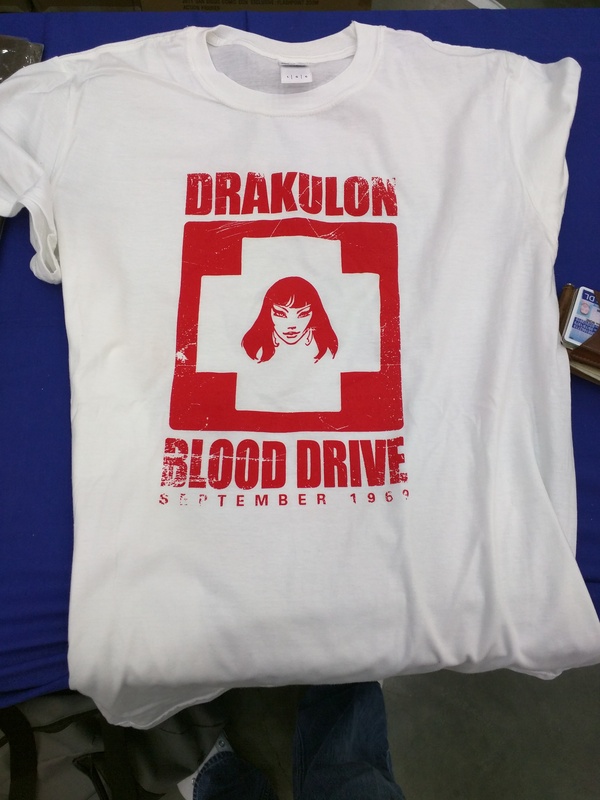 They had them in the far back end of the convention out of the way of the vendors. Edward James Almos was the big guest Friday. Kattie Cassidy and Paul Blackthorne from Arrow were there over the weekend as well. The show was the best I’ve ever been to by far. There wasn’t too much cosplay, and the amount of non-comic vendors was very few. This was a show for comic collectors and it delivered. I heard nothing but positives all weekend from vendors, artists and everyone associated. I would have priced books more aggressively. There were a lot of people wanting to spend money on books that went away empty handed. I understand that anyone can charge what they want for their wares, but pricing it so high that people won’t look past the sticker is an issue. Books were so high in some instances there wasn’t even a point to start bartering. The east coast dealers especially. For some reason they all tend to have this superiority complex and will talk down to people when trying to negotiate, which cost them a lot of money. The guys from the SE, S, Midwest, and West all have a different demeanor from my take of the weekend. They are friendlier and did a lot more business. I didn’t see anything too bad, all dealers while trying to buy books from people put on a show about how bad a book's condition is, when in reality it isn’t bad at all. I would say 90%. It was perfect. Not much at all, there were people there cosplaying obviously, but it wasn’t that intrusive. I only got hit by 3 plastic swords. The issue with cosplay is that people stop in the middle of the thoroughfare to take pics, causing you to have to stop and wait for people to take a photo or risk being a jerk. It had an electric feeling for sure. I won’t miss this show for as long as I'm healthy enough and into comics. Excellent stuff, sorry I missed out, but glad I got to read this. Great report; wish I had gone! Perhaps a road trip is in order next year. I used to do the drive from NH to Northern VA; Baltimore is a little closer! Great report Trey! Sounds like a great show! So glad you got a picture of the shirtless guy we saw!! Nice review, enjoyed it. Doesn’t look overcrowded, which is the biggest feature of all. Glad you didn’t get knocked out by any mountaineering back packs. On Saturday I saw a dealer trying to sell an X-Men 266 raw VF for $185, WTF. I enjoyed the show as well. I had also purchased a Katie Cassidy autograph ticket early for Sat. Then the Thursday before they announced she would only be there on Sun. I was kind of amazed how easy it was to get a refund. I emailed “Brown Bag Tickets” and they issued a refund within 5 minutes of the email. Great Show! Look forward to going next year especially since now I know what to expect. Also, use the app “Parking Panda” to help search and pre-pay for parking at parking garages. I reserved parking two days before for $15 for the day .1 miles from the convention center. And your guaranteed parking even if the garage is full. Great review, looks like this will be one to put on my calendar for the future! I volunteer to help out at the CBSI/ComicBookInvest booth next year! I believe you actually bought that Walking Dead #100 from New Force Comics, not New Dimension, for $1095. I was actually standing there looking at a couple of Lois Lane #70’s when you asked if the owner Rick aka Gator, would take 1K and he told you that if you didn’t buy it for $1095 he was gonna re sticker it for $1800. Solid move on Rick’s part. Pretty funny that I randomly caught that exchange. Congrats on the deal! 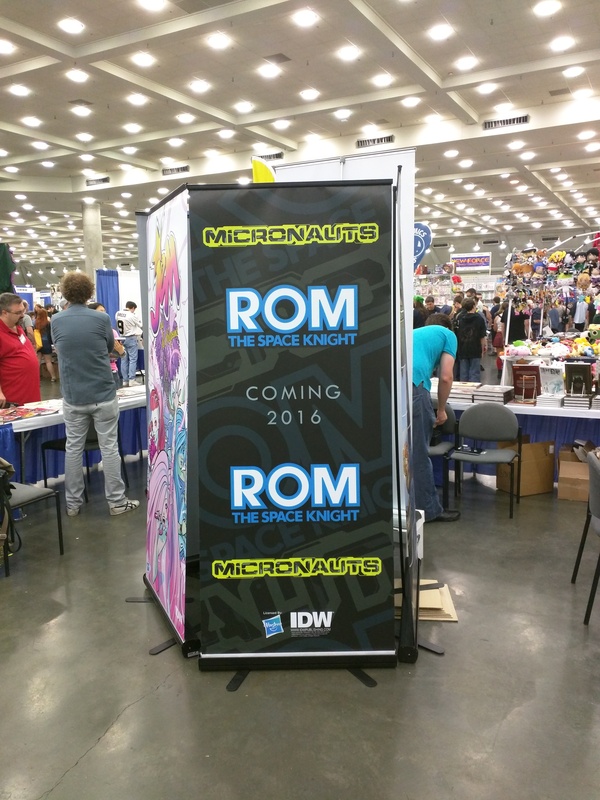 what were some of the better con exclusive books to buy?